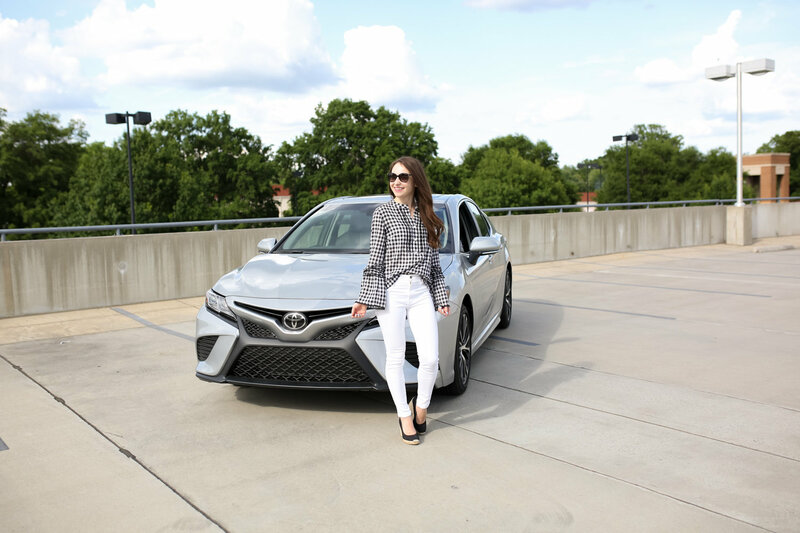 I have teamed up with Toyota to drive the brand new 2018 Camry for a week, which has been so much fun! 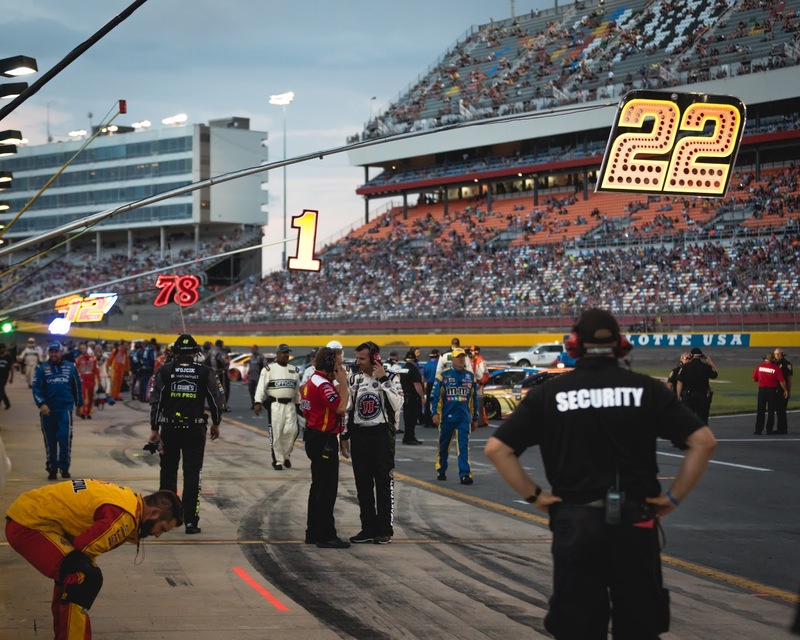 I also went to the NASCAR All Star Race with the Toyota team last weekend! I loved driving this car, there are just so many great features. First off, I think it is a very pretty car, I drove the silver exterior and black interior model. It had so many high-tech safety features, like lane assist that makes a sound when the car drifts without a turn signal, smart cruise control that speeds up or slows down after you set a following distance to the car in front of you, back up camera, and more! 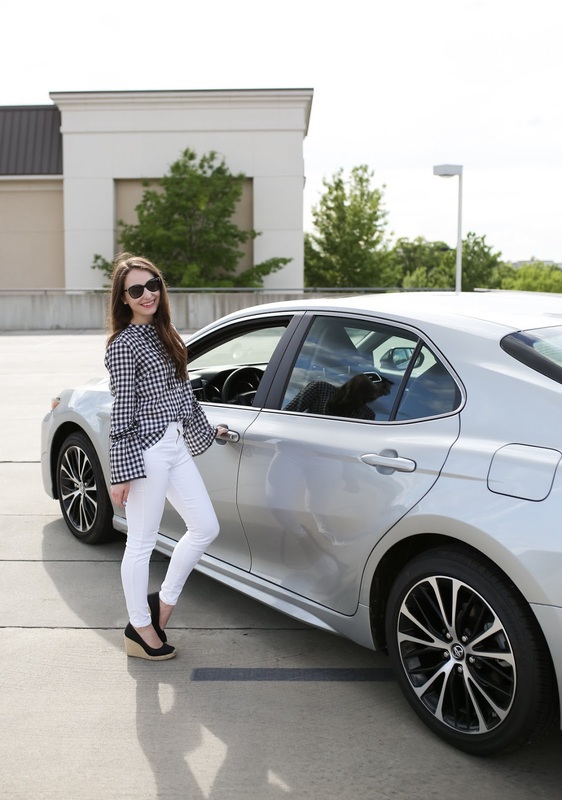 I have always driven a sedan, and I thought the Camry handled so well and was very easy to drive! I also have never had the best parking skills, so I found the the sensors and backup camera very helpful. The gas mileage is really efficient. I thought the fuel gauge was not even moving when I drove it around Charlotte to work, fitness classes, errands, etc. for the first few days. It was not until I drove it to the speedway in Concord (about 30 minutes from the city) that I even used a decent amount of gas. Another really cool feature to the car is the keyless entry. I have a bad habit of losing my keys at the bottom of my bag to get into my car. But these Toyota keys only need to be with you to open the door, and even start the car! This Camry also has an incredible sound system, and you can control the radio station, make a call, play music from your phone, and more, with voice activation. I don't even want to go back to driving my regular car! 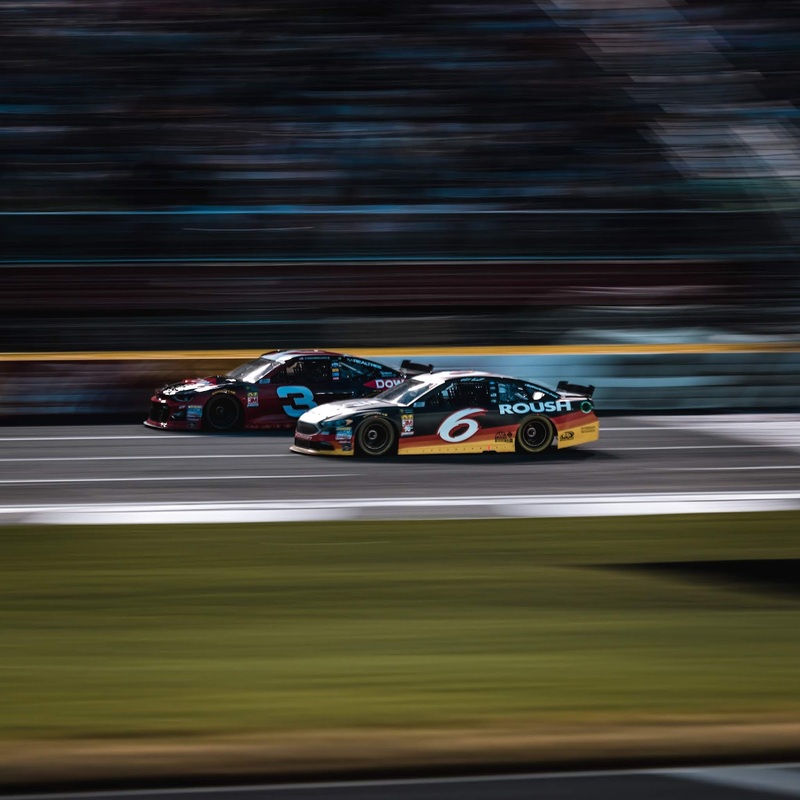 Although I have lived in North Carolina my entire life, and Charlotte for almost 2 years now, I had never been to a NASCAR race before. After spending a day on the track with the Toyota team for the All Star Race, I just might be a new fan! We started the day with "hot laps" in the pacer cars used in the race, which were all Toyota Camrys, similar to the one I had been driving. The drivers took a few of us around the track at 130mph like they were just casually driving down the street. 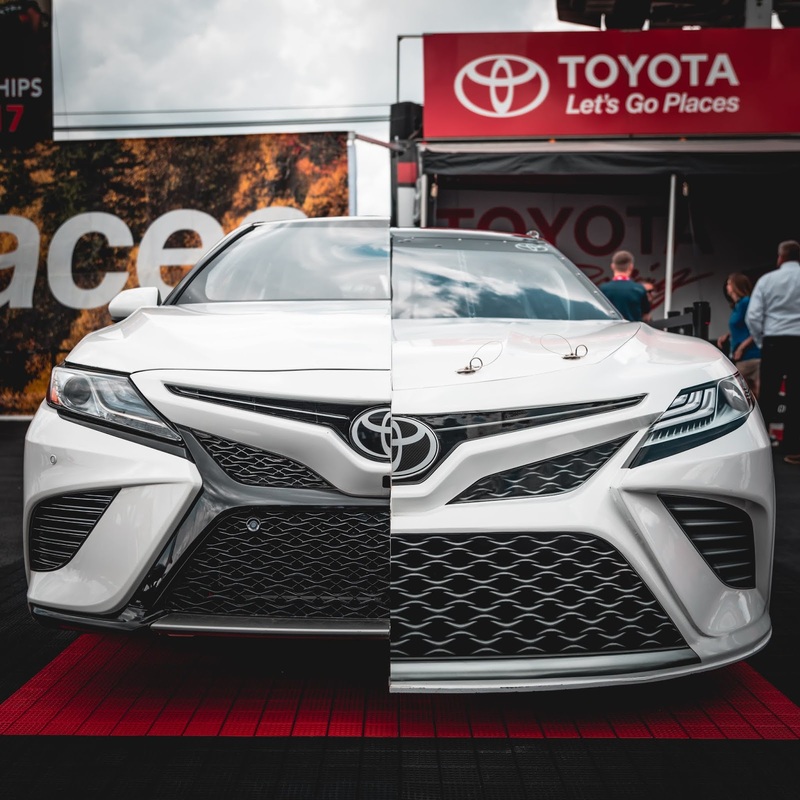 We later went out to the Toyota Fan Zone and learned about how they use their space at the speedway as a marketing opportunity. My full time job is in marketing, so I thought it was so interesting to learn about their different offerings and how they measured the effectiveness of certain activations. One of the activations was this car above, that is a half of a Toyota Camry pacer car and half of a Toyota Camry stock car put together! We also had a meet and greet with driver Kyle Busch, who drove one of the Camrys in the race just a few hours later. After spending some time in the Toyota suite to watch the qualifying rounds, our group went back down the track to watch the driver introductions and first few laps of the All Star Race. Fun fact, I went to high school with one of the drivers. I have watched parts of some races on TV with my brother, but it is a very different experience in person! It was so exciting, and being right in front of it shows just how fast the cars are going. Which is a whole lot faster than it looks on-screen! 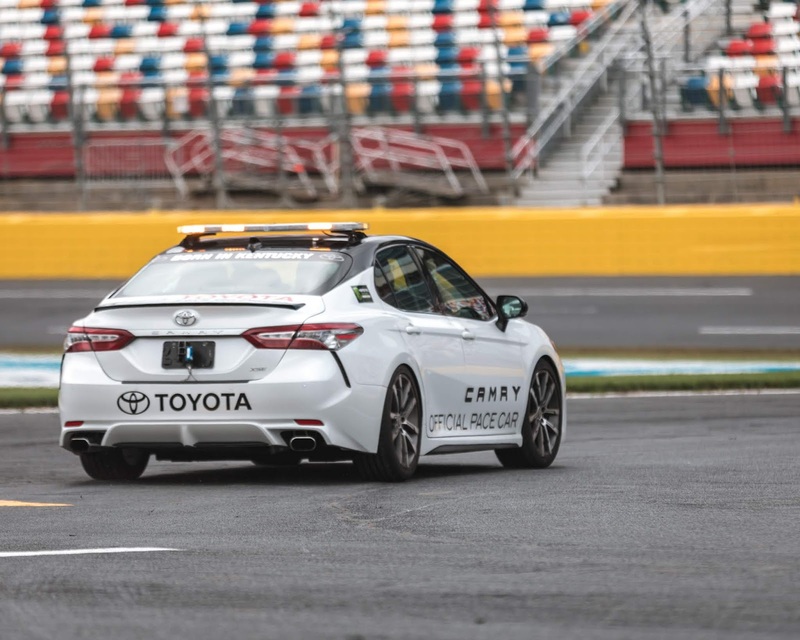 Big thanks to the Toyota team for letting me borrow your amazing car, and experience a behind-the-scenes look at a tradition that has been in Charlotte for over 30 years!